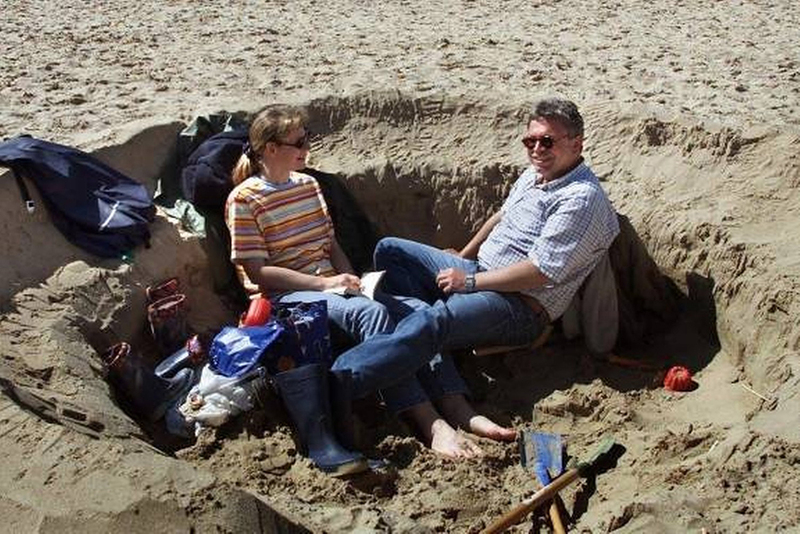 We do like to attribute digging beach pits to our eastern neighbors, and rightly so, because the German bathing guests have for many years been digging pits in the sand surrounded by huge banks. 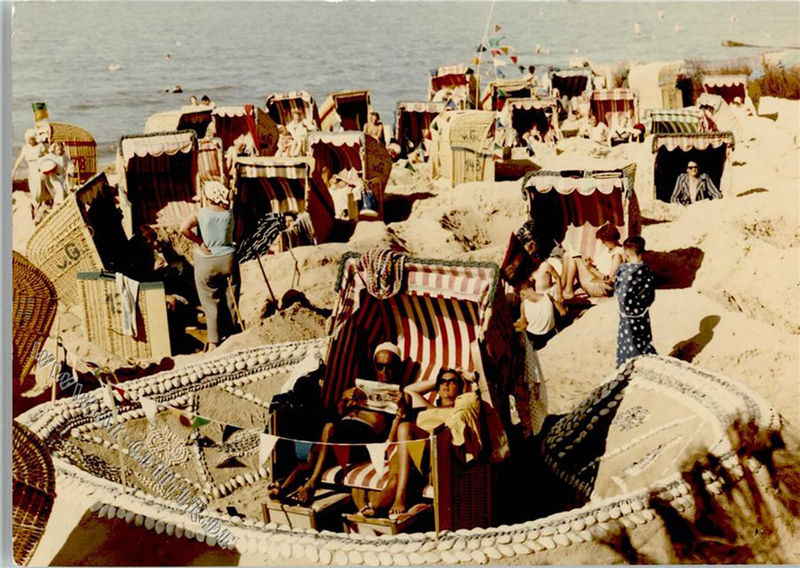 The scene in the picture was captured in 1930 by the Dutch photographer Willem van de Poll. 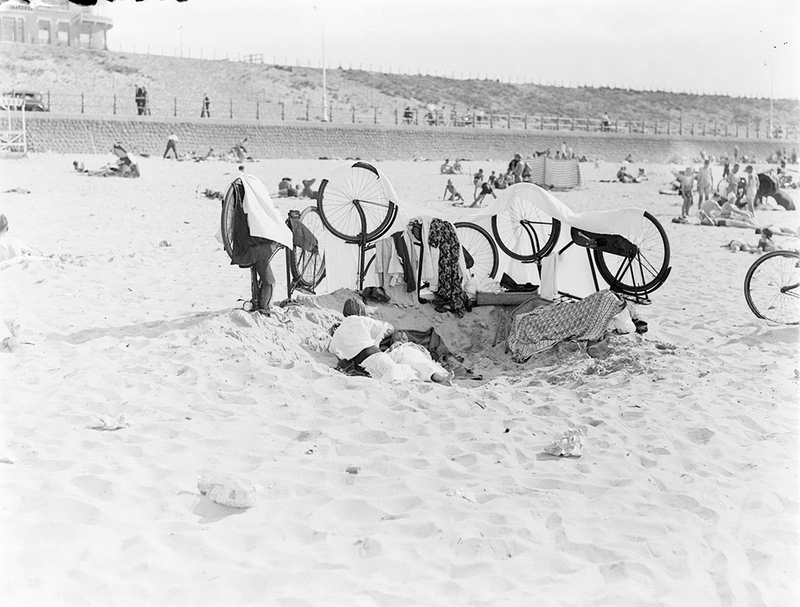 We can see a woman and a child lying in the beach pit, surrounded by two women’s bikes and a men’s bicycle, all three of them serving as a wind screen. 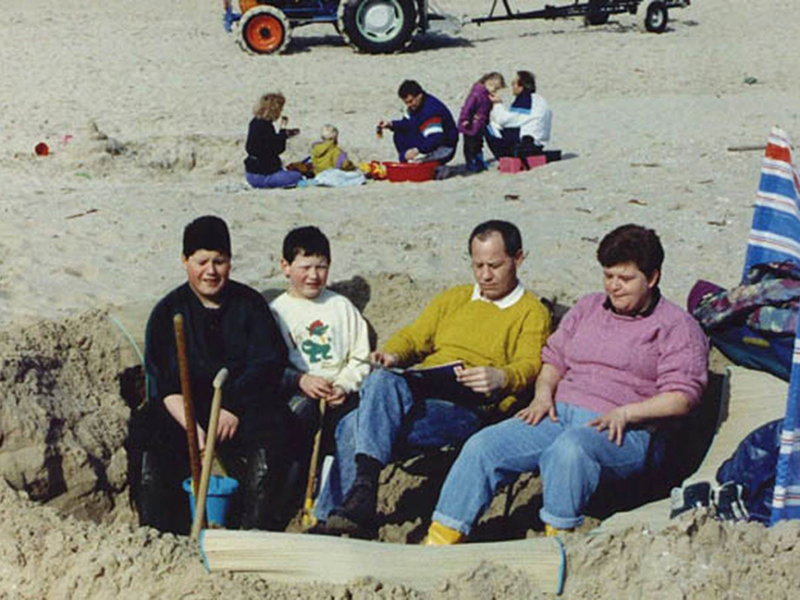 Willem took the photo, so it is quite likely that it is his family and if so, it is plausible to state that this is a case of Dutch Design. 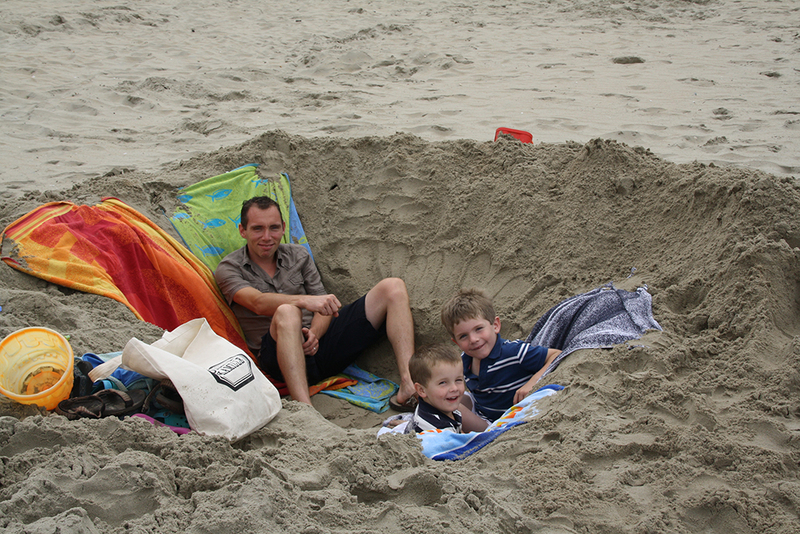 The beach pit is to us a shining example of a man-made structure, which creates a temporary, protected and intimate space that is blown away after use and, without any form of waste, for 100% absorbed in the ecosystem. For this phenomenon, we introduced the concept of awasteness, translated into German: ‘Abfallbewusstsein’ (waste awareness).